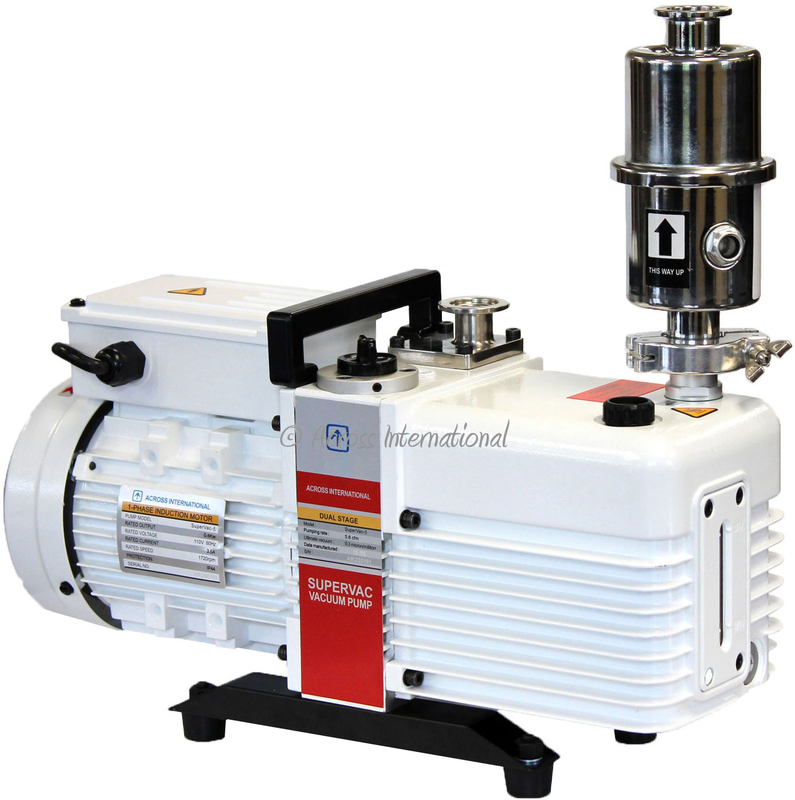 The new Across International SuperVac 5.6 CFM commercial grade vacuum pump is now corrosion resistant. Designed for reliable long time continuous operation, it takes your vacuum down to 0.3 micron in minutes. The SuperVac comes standard with all necessary fittings and a high capacity exhaust oil mist filter (which returns trapped pump oil back to the pump and makes the pump quieter to run). The adjustable gas ballast pulls a slower vacuum by allowing dry air directly into the pump, diluting the vacuum pull and keeping moisture, solvents, and other contaminants from getting stuck in the pump.